We’ve changed our name to Charlie’s Car Wash to honor our founder who passed away in 2012. We think the best way to tell our story is by first telling his. Charlie Walker was born on May 27, 1932. He grew up in Salina, KS, the oldest in a family that moved frequently due to financial circumstances. Charlie dropped out of school after the ninth grade and made his way to Colorado to work in a steel mill. He went on to serve proudly in the United States Air Force. In the 1960’s, Charlie started two companies that used truck-mounted equipment to provide mobile cleaning solutions. In his travels across North America selling the cleaning equipment, Charlie recognized a need for high quality, professional truck washes and car washes. 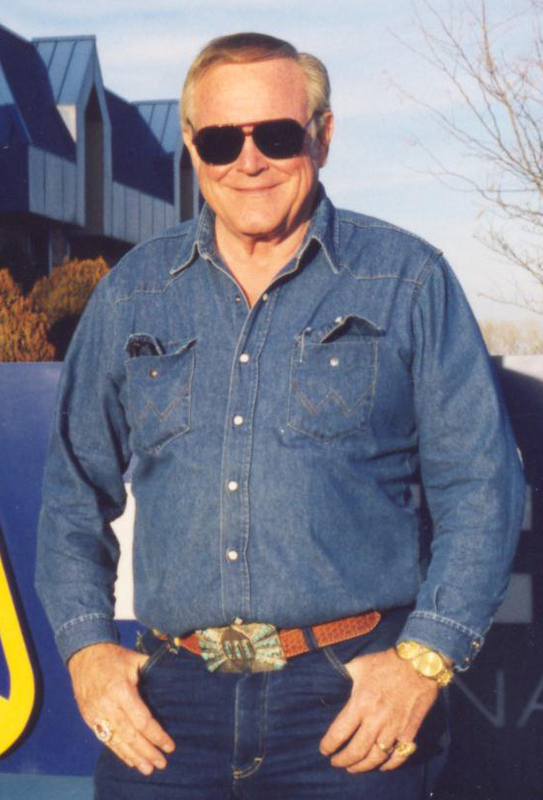 Charlie’s first truck wash was opened in Salina, Kansas, in 1973. It was an instant hit with truck drivers and Charlie immediately began adding new locations. Charlie’s first car wash was opened in 1981 using many of the methods and equipment perfected in Charlie’s other vehicle-washing companies. Today our family of employees, which includes Charlie’s children and grandchildren, strives to continue Charlie’s mission of providing the highest quality washes with exceptional, friendly service. Charlie’s greatest achievement in life was the way he gave back to his community and those in need. Charlie was a man of humble beginnings, and he never forgot his roots. He was an avid supporter of countless charities. Those closest to his heart included the Tammy Walker Cancer Center, named after his daughter who passed away at the age of 11, and the Rolling Hills Zoo, an AZA accredited zoo dedicated to the conservation of endangered species, founded by Charlie. "Only place I would pay to take my vehicle to. Unlimited washes are the best." "Great, friendly service. Charlie's makes sure that you are able to get in and out in a timely manner. They do everything they can to make sure that your car is clean, and that it looks and smells good!" "They went above and beyond in cleaning the inside of my car before I sold it."